With so many breakfast choices in Johor Bahru, we have given up our Hotel Breakfast and decide to indulge in the local food journey on a Sunday morning. Hua Mui is less than 15 minutes walk from City Square and is pretty accesible. They are established in 1946 serving up stomach comforting food to both locals as well as tourists. Take a look at the amount of people outside the shop, it really stunned me upon reaching. Luckily, the waiting time was short with the high turnover rate for breakfast. The interior is an old school charm and a reminiscent of how Singapore Coffee Shop used to be. From the gates to the vintage floor tiles, this is a very good experience to some who have not seen it back home. 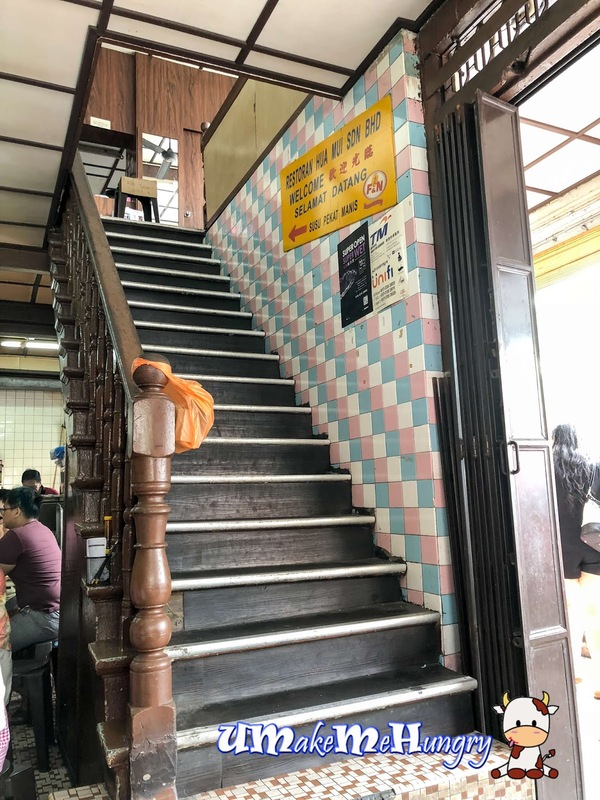 Restoran Hua Mui consist of 2 levels. Despite the morning crowd, the flight of stairs linking to the upper level was closed with a signage indicating "Atas Tutup" meaning Closed. However such scene did not stop the crowd from coming, instead you can see many of them patiently waiting for their turn. A look at the cover of menu already tells what one should order. Other than that, I would say like menu is extensive, comprising of both local and western cuisine. 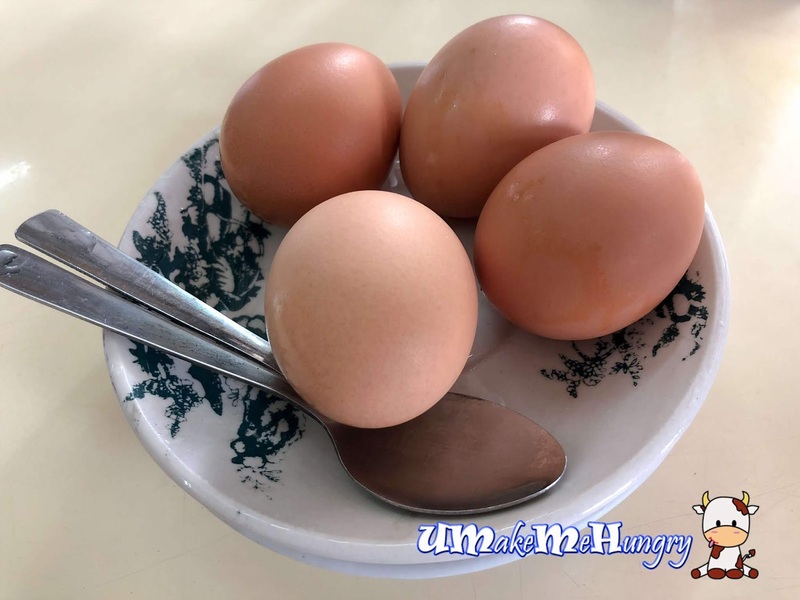 We begin our breakfast in the most Singaporean / Malaysian way with half boiled eggs . Condiments were all laid on the table. Besides the usual Yakun half boil eggs I had, these eggs will be my favourite too. 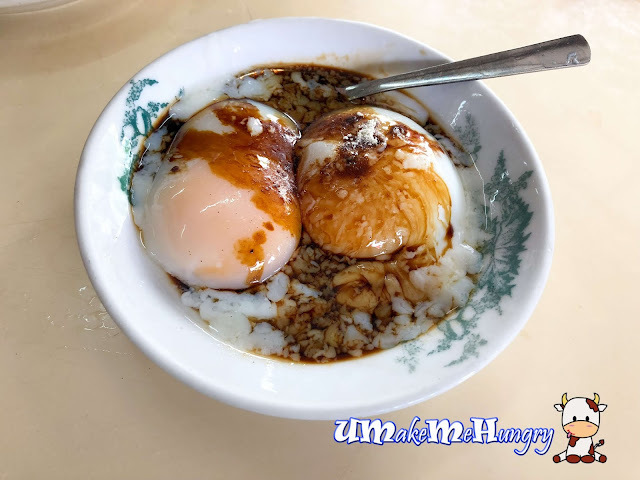 The black sauce was different bringing out its sweetness and boiling of eggs were skillfully stopped at the perfect timing to achieve such precise standard. Even the drinks were served in the old school kind of glasses that we have in our coffeeshops. 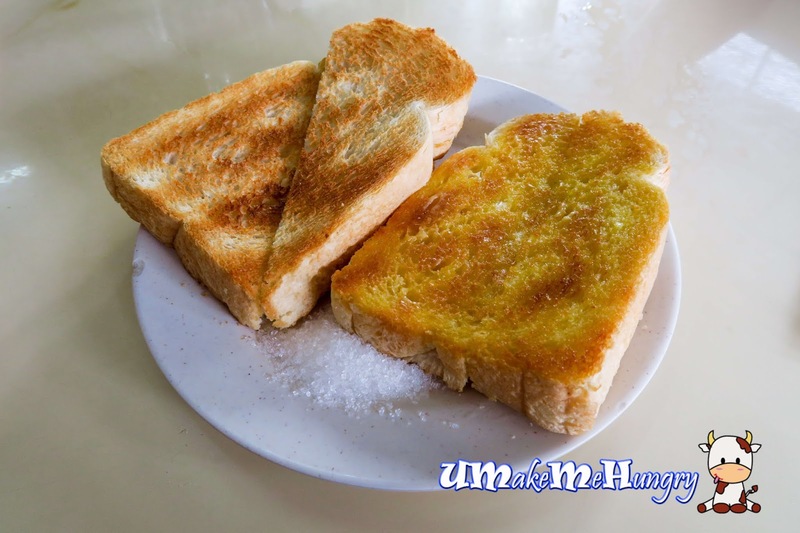 Margarine Toast was fragrant and given with a pinch of sugar. If need be, tad on it to enhance its taste. 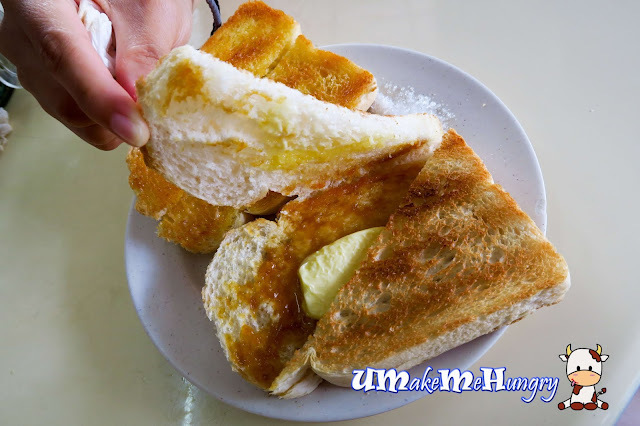 The toast was slightly thicker and crispy on the edges, totally my kind of breakfast. Butter on the toast had blend in well with the sweetness of Kaya in the toast. 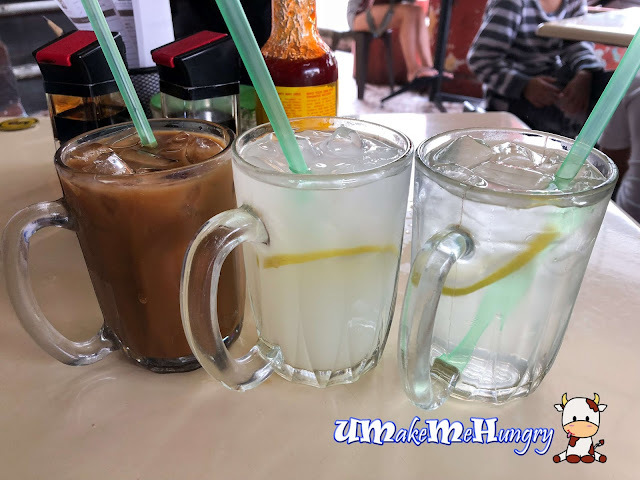 Hua Mui Breakfast set is basically home cook food and making us feel at home. 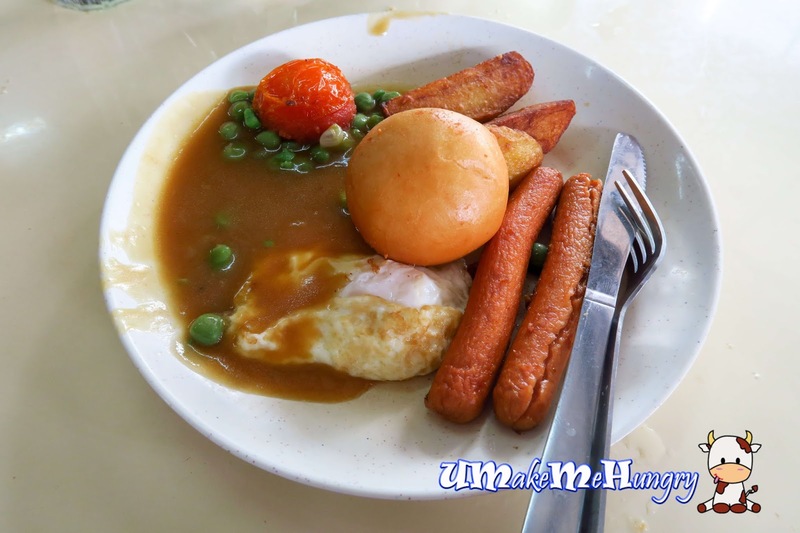 The breakfast consist of fried bun, potatoes wedges, hot dogs, tomato, egg and green peas with light brown gravy. The plate of noodle tasted familiar and homely till I was prompted if resemble Chilli Crab sauce. Yes, absolutely. 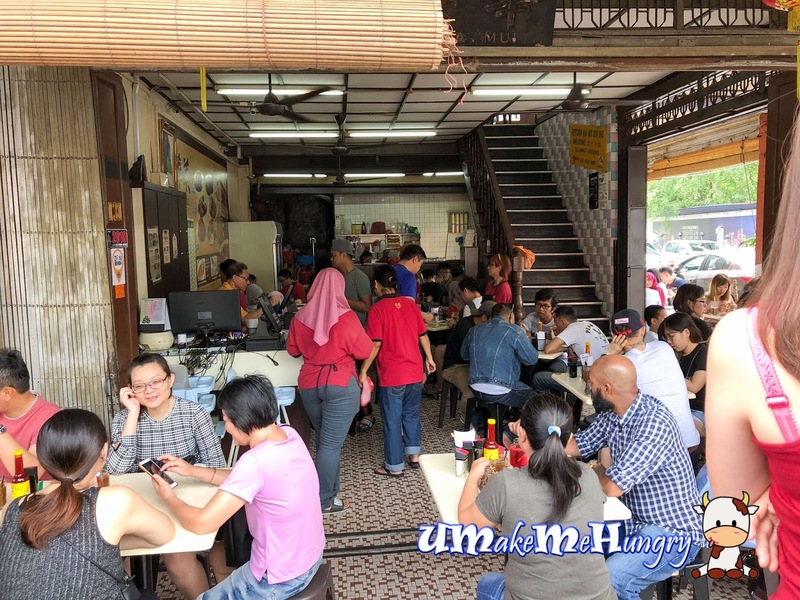 The humble and flavourful Mee Mamak resemble a plate of Mee Goreng, however what we were served was delicious making me having more than what I suppose to have although I was supposed to have just only a mouth or two for testing. The style of a wetter version noodles instead of our usual dry mee goreng had gain a few nods from my breakfast buddies. Taste aside, Hua Mui was generous with their ingredients such as eggs and fishcakes. 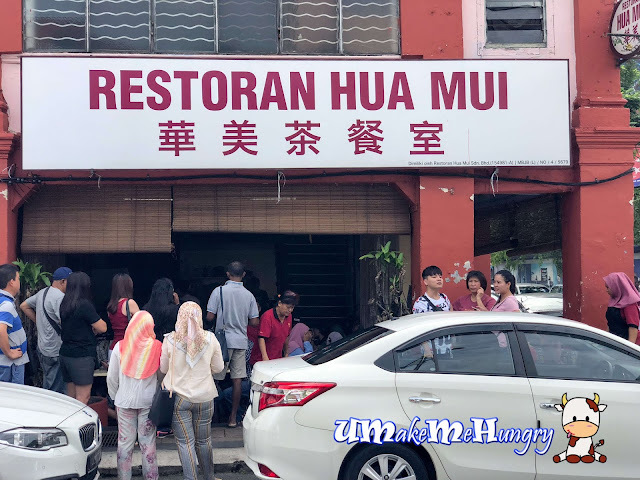 The Hainanese Chicken Chop that everyone is raving in the social media that this is a must try if you ever go to Restoran Hua Mui. 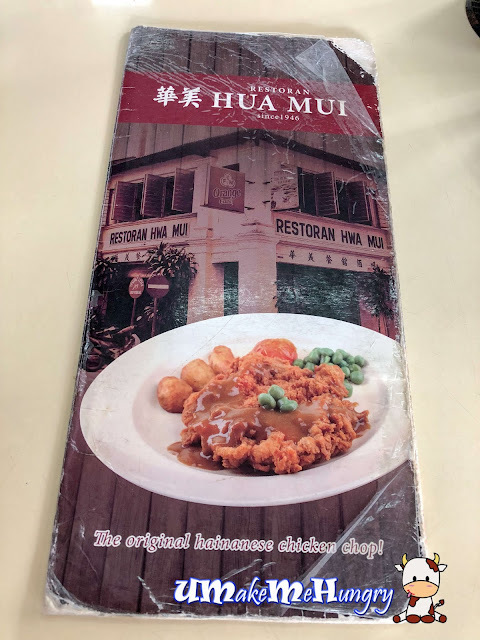 In fact presentation (green peas, tomato, potato wedges) and chicken chop gravy is similar to their Hua Mui Breakfast in the above picture. Chicken chop batter was perfectly done in crisp and was not oily at all. Verdict: Yes, you should try it out when you are at Hua Mui. Comparing the chicken chop we have in IT Roo Cafe, I will prefer this. Having lesser of the traditional coffee shop and breakfast we have these days back home, I'm quite keen to such meals whenever I am in overseas. With the long list on the menu, we can never finish trying all their recommended food in a breakfast. Should there be any chance, I will want to be back again.